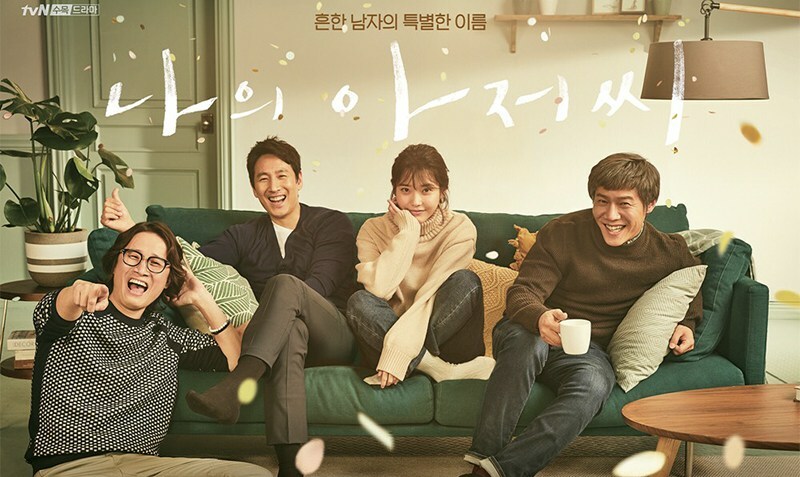 Easily the top drawer, unique and special Korean drama of 2018, My Ahjussi (aka My Mister), surprised me with the profound depths of its writing, displaying a rare sense of community among both the principal and extended supporting characters that made me miss them all terribly when the drama concluded. Months after it concluded I was still looking for ANY K-drama which could compete with its mastery and brilliance, and finding NONE. Talk about your burn out periods in K-drama watching! after this one was over I abandoned K-drama after K-drama in the first episodes because nothing compared to it! Probably six months went by when I couldn't get into a single one of them. All I did was miss My Mister! When the drama first started I heard the voices of young people watching this drama online complaining, "He's too old for her! Ew!!!!!" and I just rolled my eyes in exasperation at these immature responses. 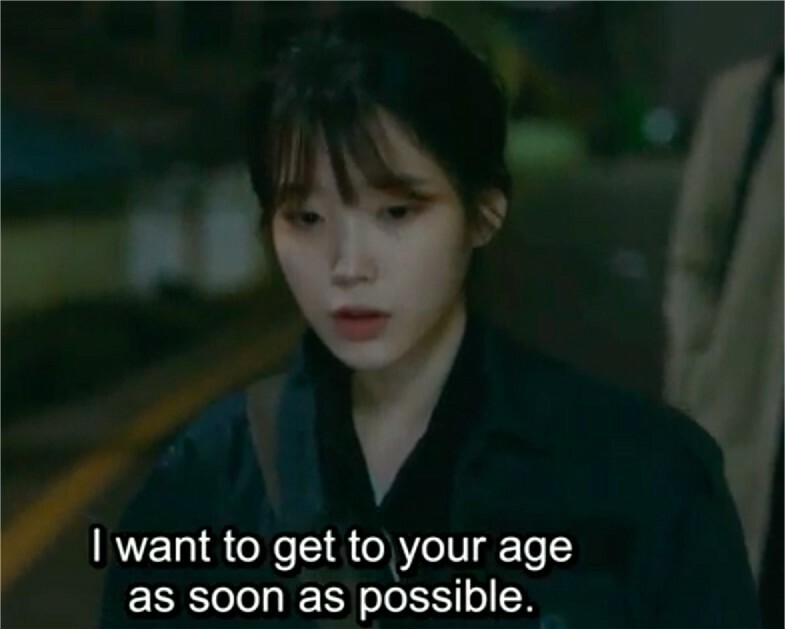 (They were very much like the immature responses at the beginning of Goblin when they saw the age disparity between Gong Yoo and Kim Go Eun -- thankfully in that drama the immature responses due to age disparity didn't last long, it was so obvious those two characters were meant for each other). Why is love a matter of age? We have many Korean dramas that don't hesitate to show physical relationships in "Noona Romances" (Older Women, Younger Men stories), so why then does it suddenly matter when the male lead character is a decade or more older than the female character? In real life there are millions of December-May romances, so why not in television dramas? Park Dong Hoon (Lee Sun Kyun from Pasta) is a well paid building engineer around forty years of age, married to pretty lawyer Yoon Hee (Lee Ji Ah from Beethoven Virus). They have one young son whom they sent to America to school to learn English, and he is younger than ten years old (I didn't understand that for beans!). Usually when a couple is married and in love and have a baby they want to raise it themselves, not send it half-way around the world to school! This, together with the fact that there is never any physical relationship depicted between husband and wife, not even one hug, makes one doubt that any love really exists between this married couple. We soon find out why. Dong Hoon's wife is secretly having an affair with a senior executive at the construction company where Dong Hoon works, an executive who has always been jealous of Dong Hoon's professional capabilities and talents. Yoon Hee tells her lover that she wants to divorce Dong Hoon and marry the executive, who is named Do Joon Young (Kim Young Min, also from Beethoven Virus), but it's obvious to the astute audience members that this adulterous bum has no interest in ever marrying her. He's just using her to get back at Dong Hoon for earning more respect at work than he has attained. Dong Hoon is a member of a close knit family who all live in the same city neighborhood, including two brothers and his aging mother Byeon Yo Soon (Ko Doo Shim from Dear My Friends and The Snow Queen) who still live together. The oldest brother, Sang Hoon (Park Ho San) is chronically unemployed and separated from his long-suffering wife Ae Ryun (Jung Young Joo). Gi Hoon (Song Sae Byeok) is the youngest brother who also has troubles finding work after he blew a chance to become a movie director. These two brothers decide to start a cleaning company to make money and at first they are embarrassed by their work but then they begin to succeed at it and feel more comfortable admitting what they do for a living. If you have to clean for a living at least do it well! Gi Hoon has had unresolved feelings for a young lady who used to be an actress he directed years ago, named Yoo Ra (Nara), and they meet up again when she is still struggling as an actress and it's obvious an attraction is still there between them. He rebuffs her at first but you just know that won't last long -- she's far too pretty! Dong Hoon hires a temp in his office named Lee Ji An (IU from Dream High and Producer) who lives in financial and emotional distress daily, owing loan sharks a lot of money. She supports her disabled deaf and mute grandmother Bon Ae (Son Sook) who is unable to move by herself so Ji An often has to steal a grocery cart temporarily from a convenience store to wheel her around in it when she wants to go outside. Ji An is continuously harassed by a loan shark named Gwang Il (Chang Ki Yong) who obviously also has the hots for her. He regularly shows up at her apartment door and beats her up because she won't give in to him sexually. One day, she sees Dong Hoon receive 50 million won ($50,000) of gift certificates by secret courier. She goes back to the office late at night and takes the gift certificates from Dong Hoon's desk. She tries to pay off her debts with the gift certificates, but her plan backfires on her and gets her in more trouble down the line, at work, and with Dong Hoon. 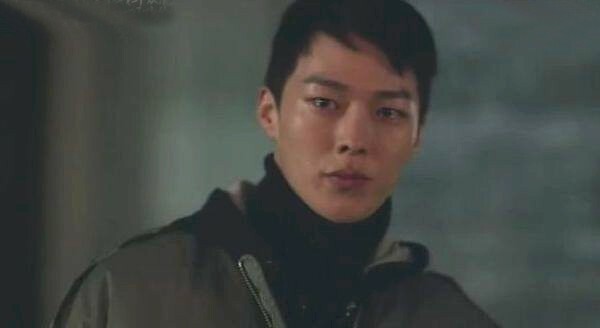 Ji An is privately hired by Joon Young at the company to spy on Dong Hoon; she surreptitiously installs a bug on his phone and can listen in to everything he does, at work and at home. Joon Young pays her a lot of money to do this work, which she hands over to the loan shark, but the loan shark still seems obsessed with her anyway; apparently they had known each other in childhood and when his father tried to attack Ji An's grandmother Ji An had killed his father. He has never forgiven her, even though the court ruled that what she did was necessary to save her grandmother's life. An unintended consequence of listening in on Dong Hoon's activities day and night is that Ji An starts to fall in love with him, against her better judgment, knowing he is married and not really a "My Mister" after all. She hasn't run into too many good men in her life. However she still is desperate to free herself from the debts and get the loan shark off her back, so she goes to Joon Young and offers to make Dong Hoon leave the company by creating a scandal around him if he will pay her enough to pay off her debts.The evil Joon Young agrees. Will Dong Hoon ever figure out Ji An's real end game? If so will he be able to forgive her and look beyond her bad deeds to encourage her to live a better, more wholesome life? Despite everything going on Dong Hoon still cares about Ji An, and even assists her in getting her grandmother in a senior living situation that is government run so she doesn't have to worry about her ailing grandmother's physical needs anymore. Granny isn't quite sure what is going on with Ji An and Dong Hoon but to her he is an angel. Ji An falls even more deeply in love with him, yet still seems to be carrying out her plan to destroy him at work! Talk about a troubled girl. All this time I kept hoping she would end up acting like a double agent and destroy the wicked Joon Young instead. In addition to the trials and tribulations of the main characters this drama really benefits in its casting of the side characters. All are fascinating to watch in their own right. My own particular favorite to watch was the female neighborhood bar owner Jung Hee (Oh Na Ra) whom I also believed to be the most stunning looking cast member in the entire drama. 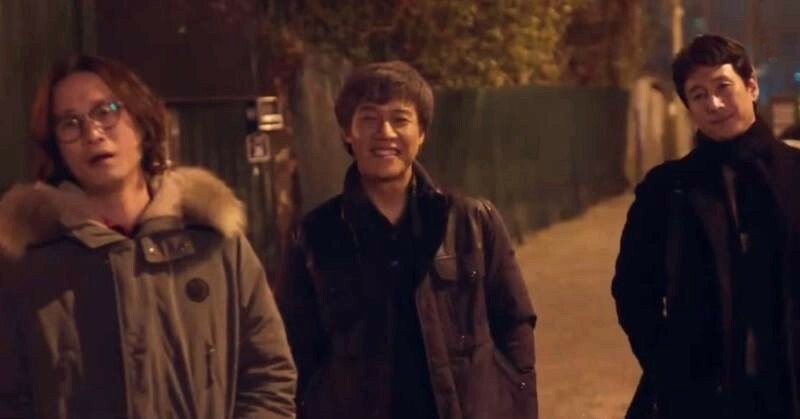 All the neighborhood friends including Dong Hoon and his brothers and their soccer team friends meet in the bar at night and Jung Hee loves to serve them all beer and food. She's like a sister to all of them ... but at night she cries herself to sleep out of loneliness. That broke my heart. She had her own sad love life: the man she was married to years earlier had left their marriage to become a Buddhist monk! Ooh, I was not too fond of that guy for breaking her heart! Why would God approve of a man cruelly leaving his wife to go live in a temple for the rest of his life? There's no excuse for unkindness. That's NOT "godly" at all. 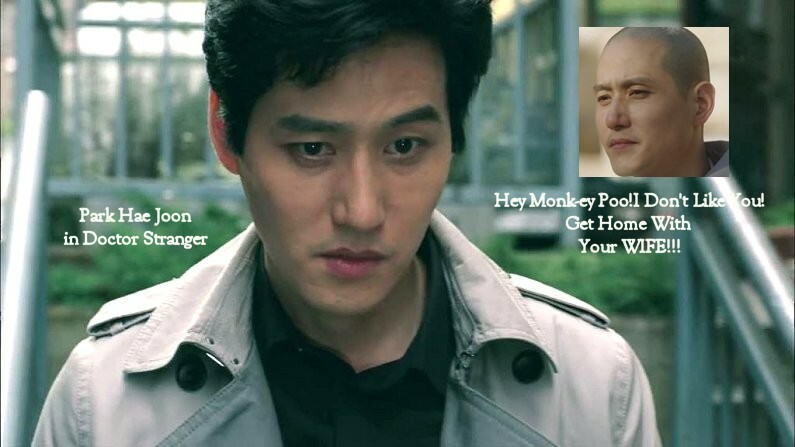 (It didn't help matters that that same actor Park Hae Joon played the murderous bad guy in Doctor Stranger! LOL!). There was not one moment during the entire drama that I warmed to him; even when they tried to show one near the end I wasn't buying it. As we near the end of the story there are lots of surprises in store for the audience. Those who are hoping for Dong Hoon to finally wake up and realize how dead his marriage is, how it's been empty for years, how he really loves Ji An instead of his wife, are going to be disappointed. In so many ways the lead male character Dong Hoon is admirable, but in many other ways he seems totally clueless about life and love and his own feelings. Often I just wanted to shake him out of his daze, so that he would start making good choices about his life, work, marriage, and feelings for Ji An. There was even a scene near the end where he just breaks down at home all alone and doesn't even seem to understand why he is crying in the first place. You should have seen my face at that moment. Instead of pitying him I got angry. "You clueless dolt!" 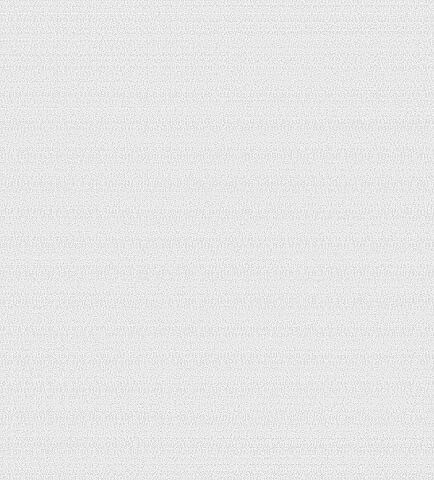 I raged. LOL! I should have been more compassionate, perhaps, sometimes it can take years before full acceptance comes that a marriage is over for good. We did end up with a totally wholesome ending here -- with the promise of future happiness for all the characters -- so I ended up reasoning that that could be just as realistic as a purely happy romantic ending, or an unhappy ending. I think the writer was letting each audience member decide for themselves whether the lead characters would end up together, or not, or even just become wonderful friends for life. Nothing wrong with that! There are many fun characters to grow close to here, and good themes of friendship, family, reformation, and affection are explored. Check it out and see what you think. 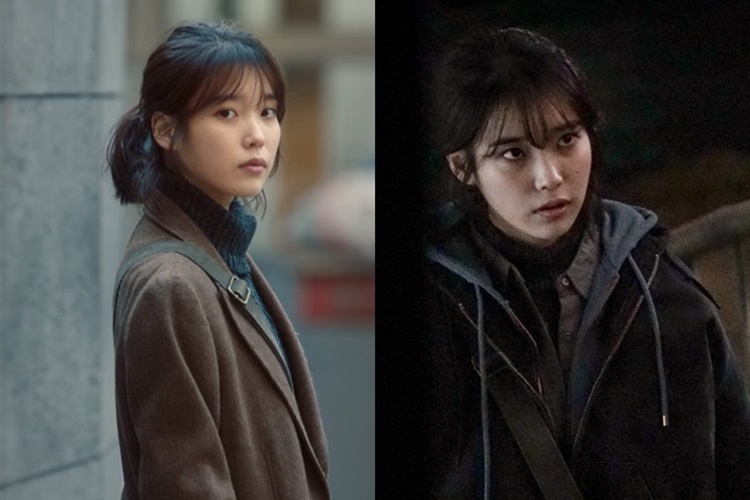 I feel My Mister, and Mother, are the two top Korean dramas for 2018, and neither should be missed by the devoted K-drama fan. They are Essentials.